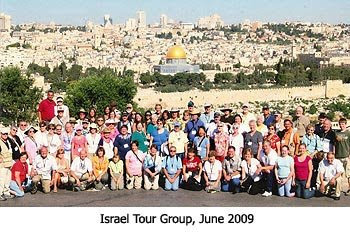 I am very passionate about going to Israel and leading others on tours of the Holy Land. Gary Fisher, founder and director of Lion of Judah Ministries out of Franklin, Tennessee, asked me a series of questions to understand the reasons behind my passion. Q1) What is the number one reason you believe we’re living in the season of the Lord’s return? There’s so many that I could give, but the number one reason has to be the re-establishment of the nation of Israel. The Bible says over and over and over that in the end times the Jewish people are going to be regathered from the four corners of the earth and their nation will be reestablished. They’ll be put back in the city of Jerusalem and the whole world will come against them over one issue — the control of Jerusalem. And that’s where we are. And, I’ll tell you what I saw when that began to happen in 1948. Of course, I was only a youngster at that time and in fact I was 10 years old at that time, so it was of no significance to me, but when it became significant to me was in 1967. 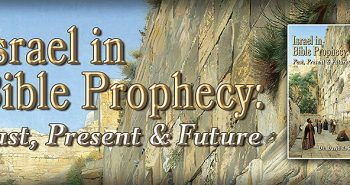 I began to really study Bible prophecy and begin to see prophecy after prophecy being fulfilled before my very eyes that had been there 2,000 years. 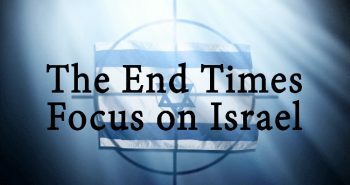 End time Bible prophecy focuses on the nation of Israel. It is God’s prophetic time-clock. God says when these things start happening Jesus is going to be at the very gates of Heaven. 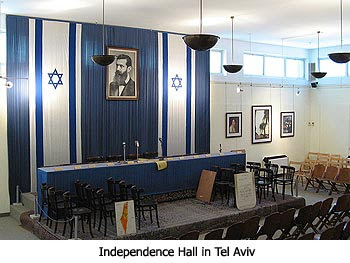 Q2) In Israel’s Independence Hall in Tel Aviv there is a newspaper clip of 1948 that says “The State of Israel is Born.” Is there any Bible prophecies that come to your mind? That’s exactly what happened on May 14, 1948 — the nation of Israel was born. The next day the labor pains began with the war of 1948-49, the War of Independence, The Suez War of 1956, the Six-Day War of 1967, the Yom Kippur War of 1973, the Lebanese War of 1982, the Gulf War of 1991, the Arab Intifada from 2000-2004, the Hezbollah War and the Gaza Conflict. It’s just war after war after war. The birth pains continue. Q3) Now, you have led many tours to Israel, and there are lots of prophetic implications about traveling all over the Land of Israel. Would you like to comment on some of those? We like to begin in Tel Aviv at the Hall of Independence to talk about that. And then we start out through the land and what we try to do is give people a survey of the life of Christ and the fulfillment not only of Second Coming prophecies but the fulfillment of First Coming prophecies. So, we show a lot of prophetic places. One place, for example, and I love to take people to it (I don’t get to every trip) is up to Caesarea Philippi which is the northern most point of Israel. It’s only two or three miles from the Lebanese border and about five miles from Syria. It’s where a great Roman city existed at the time of Christ called Caesarea Philippi. Jesus never went to Roman cities, but for some reason He took His disciples up there one day and in that city He said to them, “Who do men say that I am?” And they said, “Well, some say John the Baptist, some say Elijah.” And He said, “But who do you say that I am?” And Peter said, “I say you are the Christ, the Son of the Living God.” And then He said to him, “God has revealed that to you,” and He said, “Upon that confession I’m going to build my Church and the gates of Hades will not prevail against it.” And right there is a cave right where He said that. And that cave, by Roman legend, was the gate to Hades. And the Bible comes alive when you see those things! You come back and when you read “Capernaum” on a page and it’s no longer a name on a page. It’s a place where you walked, you saw it, you smelled it, you feel it, you experience it. 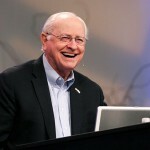 And, I love to see the Bible come alive for people as we take them over there. Q4) There are lots of prophecies that ought to be clicking in our brains, but do you want to comment on the Mount of Olives? One thing about the Mount of Olives is that when you stand there and you look out over the city of Jerusalem, if you have any sense of the Bible whatsoever, you will sense that you are standing at the center of the world. Because Ezekiel says this is the center of the world, the center of the earth, this is where Jesus spilled His blood and this is where He is returning. When I look out there I always see something that had a tremendous impact on my life and that’s the Eastern Gate. In 1967 during the Six-Day War, I was following it very closely. I was a professor of international politicsat that time and one day I read in the paper where the Israelis had broken into the Old City through the Lion’s Gate and had won the city. They had recaptured it for the first time in 1,897 years. 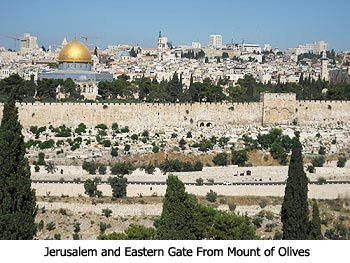 So, every time I go to Israel and I get on the Mount of Olives and I look at that Eastern Gate, I think there is Bible prophecy fulfilled before my very eyes. The Bible said that gate would be closed and it was closed. The Bible says it will not be open until Jesus returns. Many times people have tried to open it and every time they’ve been stopped. Q5) Would it impact people’s lives to go to Israel? Having been to Israel in 2000, all I can say is "Alive", the nation is so alive and living, it took my breath away. Nine years later and Israel is still the most living landscape in my heart and mind. I encourage those considering a trip to Israel to take it and walk where Jesus walked! The universe declares the majesty of God! Have never been, yet. I have hopes to one day. However, if not in this life, then I will definately have that privilage of going when Jesus Himself is there. The prophecy of Israel being the focus of the world is absolutely the case these very days. Something big is coming soon. 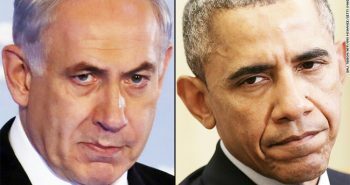 Israel is insisting "it means it" when it says a strike on Iran is an option. Meanwhile, Obama (the liberal messiah) and his false prophet Hi-LIAR-y Clinton talk of diplomacy and unrealistic missile barriers. (Remember how Hi-LIAR-Y talked tough during the primaries but now she is the in line with the closet muslim president). 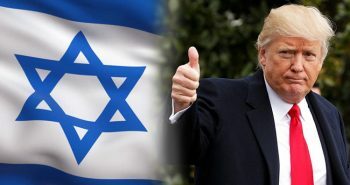 The situation with Iran and Israel is going to explode very soon. Which (if any) phrophetic event this triggers remains to be seen. My wife actually broached the subject about going to Israel sometime. She was on the L&L website and saw the schedule for the Dr. Reagan tours. Hopefully God'll bring me out of these money issues and my wife and I can go. If not, I'll get to go when I return with Messiah at the end of the Tribulation. Of course I'd rather see Israel before she's awash with blood…. ya, i dont have the money to go and even if i did it would be very very difficult to get the time off.